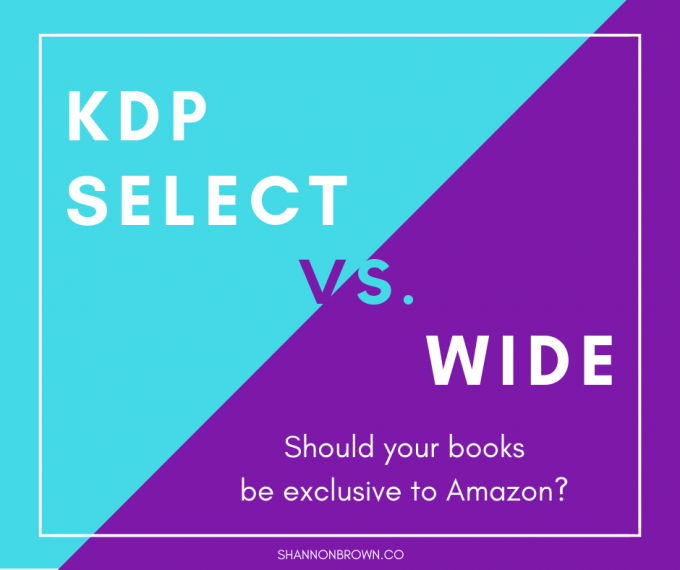 The question about KDP Select vs wide, may be the most asked question as someone works on their first book and starts to dig into the next steps. In case you’re new to the discussion, KDP Select is an Amazon program. KDP stands for Kindle Direct Publishing. 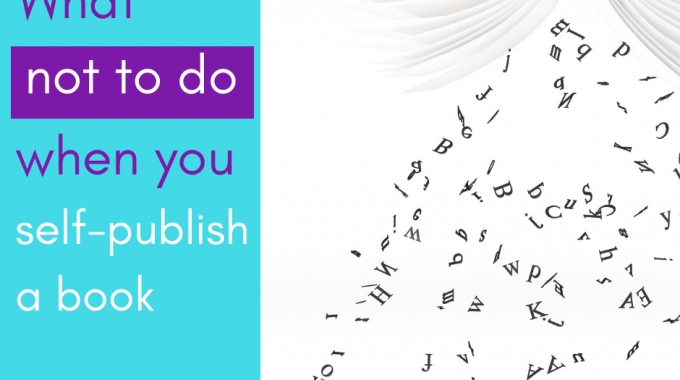 If you publish an ebook with Amazon—99.99% of people do—you will publish to KDP. KDP Select is a program you can opt into with your ebook, but it isn’t required. Note the word EBOOK. This discussion is only about ebooks. Print and audio aren’t part of this program. You also need to upload your books directly to Amazon for this, not through Draft2Digital, IngramSpark or another company. There are more opportunities with Amazon when you’re direct to them. I currently have one series in Select and one that’s wide. If you’re new to this discussion, you may be asking yourself why an author would only want to sell ebooks with one company. There are clear benefits to both wide and Select. With Select, keep in mind that you’re signing up for a 90-day period. * This isn’t a permanent, irrevocable choice beyond that commitment. Note: One of the following two promotions is allowed during the period, not a free one and one at a reduced price. • Price drops at the full royalty. An ebook priced between $2.99 and $9.99 receives 70% of the selling price. A $4.99 ebook would receive about $3.50. If you’re in Select, you are able to have a seven-day book promotion, reducing your price below $2.99, but still receiving 70%. A .99 book would receive about .70. If you aren’t in Select, that book would earn 35% or about .35. This sounds like a small matter, but thousands of copies of your ebook can sell when you have a promotion with a company like BookBub. 1,000 books sold at .99 with a 35% royalty would earn about $346. 1,000 books sold at .99 with a 70% royalty would earn about $693. These promotions work with ebooks available on Amazon.com and Amazon.co.uk. The promotion is called a Kindle Countdown Deal and you can set it with pricing increments. An example would be setting the price to drop to .99 then up to $1.99 before returning to full price. • Price drops to zero. An author can also reduce their book to zero for five days out of each 90-day enrollment period for a promotion. • Kindle Unlimited (KU) and the Kindle Owners Lending Library (KOLL). When your book is enrolled in Kindle Select, it is automatically in these two programs. KU is a program U.S. Amazon customers (the program is currently only available in the U.S.) can subscribe to that gives them access to all of the books enrolled in KU. A voracious reader can do well with KU. An author is paid for each page read out of a fund set for that month. The amount earned per page varies but is usually .40-something per page. If you have 20,000 pages read, you’ll earn close to $100. KU has been providing half of my income. 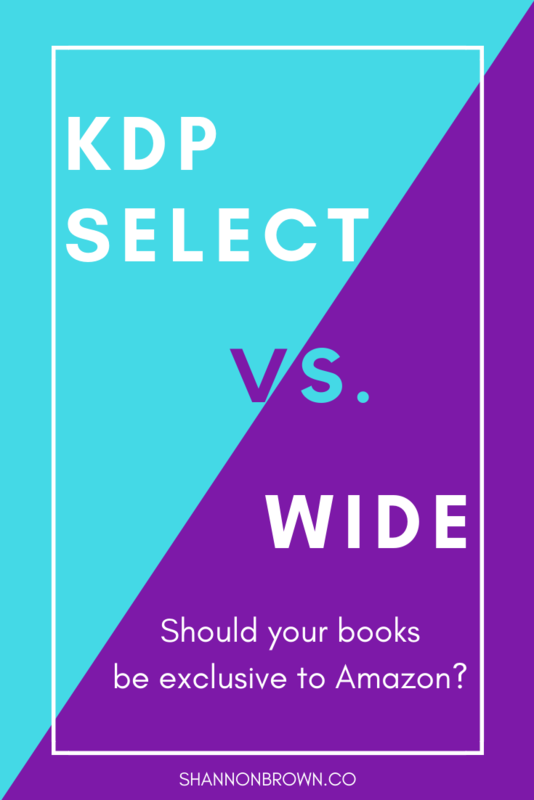 It’s a big carrot on the carrot on a stick that is KDP Select. In my experience, KOLL has little impact. KDP Select sounds great, right? Keep reading before you decide. There are some things that make authors go the other direction. • Exclusivity. You are selling your ebook only on Amazon. (Remember, this only concerns ebooks.) You are not allowed to sell your ebook anywhere else, and you cannot give it away for free anywhere such as your website or a promotional site. You can post up to 10% of the book so you can show a sample of it on your website. You cannot sell your book anywhere else, so you also can’t build an audience anywhere else. • Some genres get far more page reads than others. If you’re writing in a genre with voracious readers, you have more opportunities to do well. • Rules. There are restrictions on when and how you can use the price promotion benefits. At this time, some of them are that the book has to have been in the program for 30 days, the price can’t have changed in the previous month or 14 days after, and you can’t run one within 14 days of the end of the 90-day period. The rules say that you can a promo up to the day the period ends if you’ve renewed, but I didn’t find that to be true with one of my books in 2018. As to the rules as written, there are no exceptions. This next issue isn’t so much about being in Select as being exclusive to one seller, in this case, Amazon. If Amazon finds fault with you or your books and takes down a book or your entire account, you’ve lost 100% of your income. By being in Select, you give one company control over your ebooks and in some genres that also means control over your career. If you’re in a genre that sells more ebooks than print, you’ve given up a lot of control. If you’re thinking about trying Select for 90 days, then going wide for a few months before going back into Select, that may not serve you well. 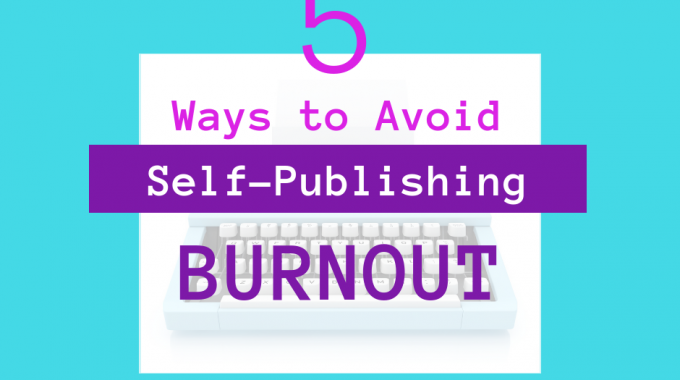 Authors who have bounced in and out of Select often say that it’s hard to get traction either there or wide. Once you’ve tested the waters, you may need to stick with one method for a while to see if it’s truly working or not. Growing a career that’s wide can take more time and even more work and marketing. Those who’ve done the work often sell a large number of books every month at sellers other than Amazon. Every 90 days, I reevaluate. This time, I may go wide. 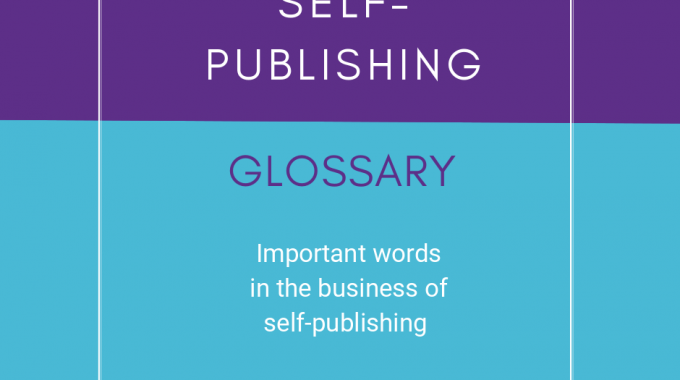 If you’re self-publishing for the first time, what are planning to do? Already published? Where are your books right now? *If you don’t want to be auto-renewed into KDP Select, go to the KDP site, hover over the three dots, click on KDP Select Info, and uncheck the box.